Our Honda radio codes are available 24 hours a day 7 days a week. Most Honda radio codes are displayed instantly after purchase. We guarantee our radio decodes work, that’s why we offer a 100% money back guarantee! 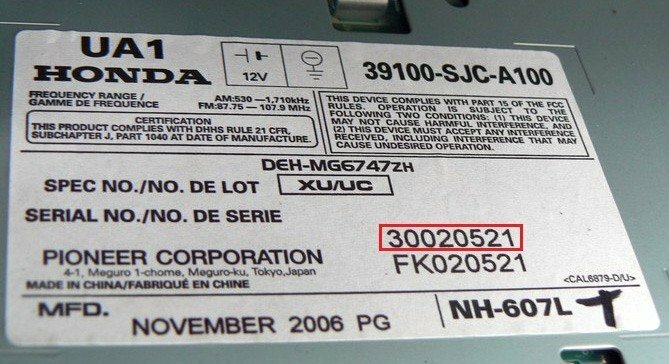 For certain models, the dealer may have placed a label with the device serial number on a sticker inside the glove box. 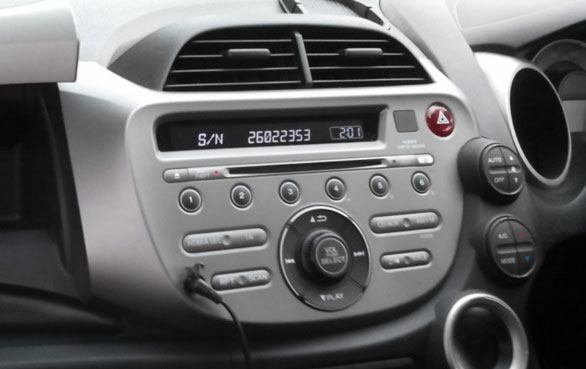 Why Choose us to Decode your Honda Radio? Most of Our Honda radio codes are instantly available, and display on screen after purchase. You can also call our radio experts on 01942 604333 to obtain your radio decode instantly over the phone via credit or debit card. Our phone lines are available from 9am - 5:00pm (Mon - Fri). We also offer a free Honda radio code lifetime code retrieval service, so if you ever misplace or lose your stereo code you don't need to worry! The code we provide is the original code for the radio supplied when the vehicle was first manufactured. Radio decodes are requested directly from our large databases or decoded in house by our specialist radio decoding tools.